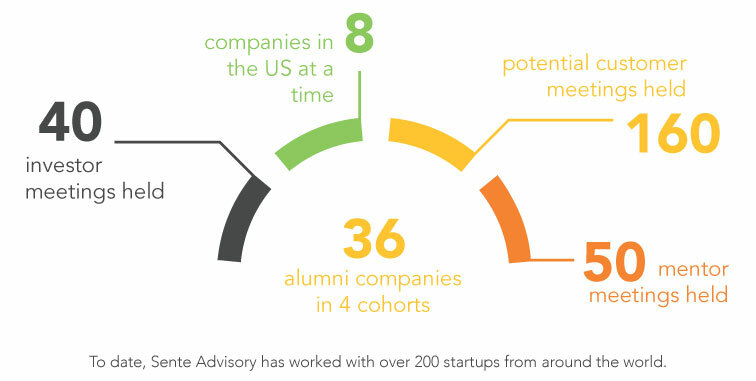 Sente Advisory Services, Inc. (Sente) operates at 1871 in Chicago and develops custom incubation and accelerator programs for start-ups in emerging entrepreneurial ecosystems. Primarily working with local universities and government agencies, Sente’s programs prepare graduates of the accelerators for global competition. Key objectives of the programs are to achieve scalable, sustainable business growth and access to growth funding as a result. Sente has developed a viable ecosystem that supports entrepreneurs at any stage of development. The standard programs are composed of two main pieces: Seed (four weeks long) and Early Stage (twelve weeks long) Accelerators. Sente also designs custom programs required by the local needs of the partner institutions. Sente is the proud international program partner of 1871 and is currently running all of its international cohorts at 1871. If your business does not fit within the perimeters of the accelerator, check out our custom solutions. Would your organization, university or corporation be interested in hosting your own accelerator? Please contact us.